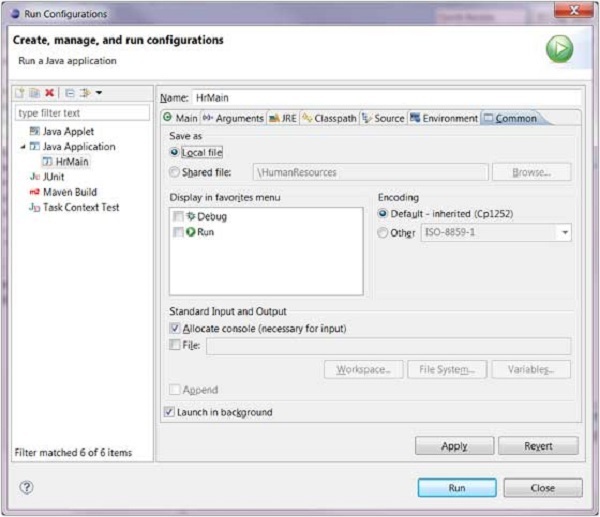 The Run Configurations dialog allows you create multiple run configurations. 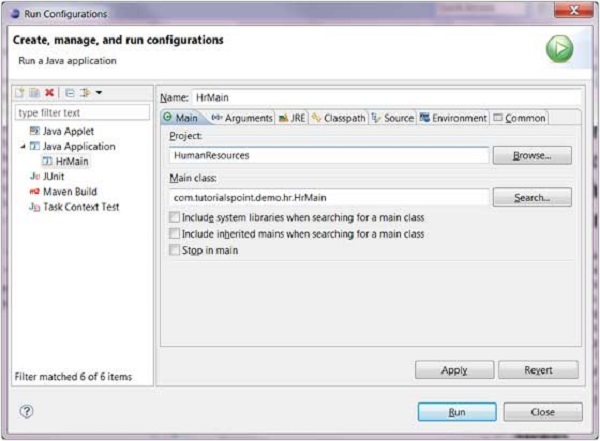 Each run configuration can start an application. 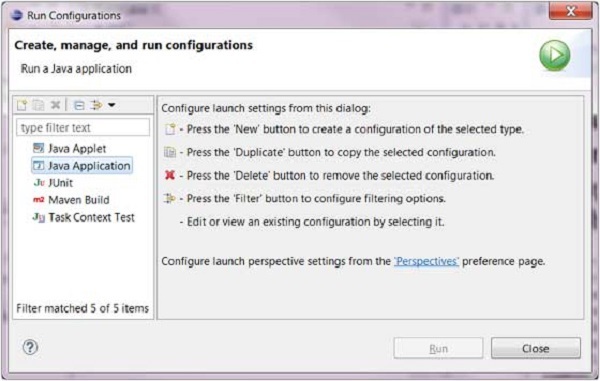 The Run Configuration dialog can be invoked by selecting the Run Configurations menu item from the Run menu. A name for the run configuration. The name of the main class. The Commons tab provides common options such as the ability to allocate a console for standard input and output. To save the run configuration click on the Apply button and to launch the application click on the Run button.